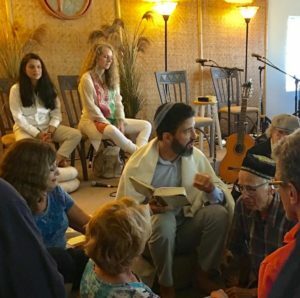 You enter in silence to find the Rabbi in meditation, so you quietly take a seat and join the holy energy, allowing this sweetness to flow over, in and around you. Chanting deepens the moment and takes you further away from your thinking mind. 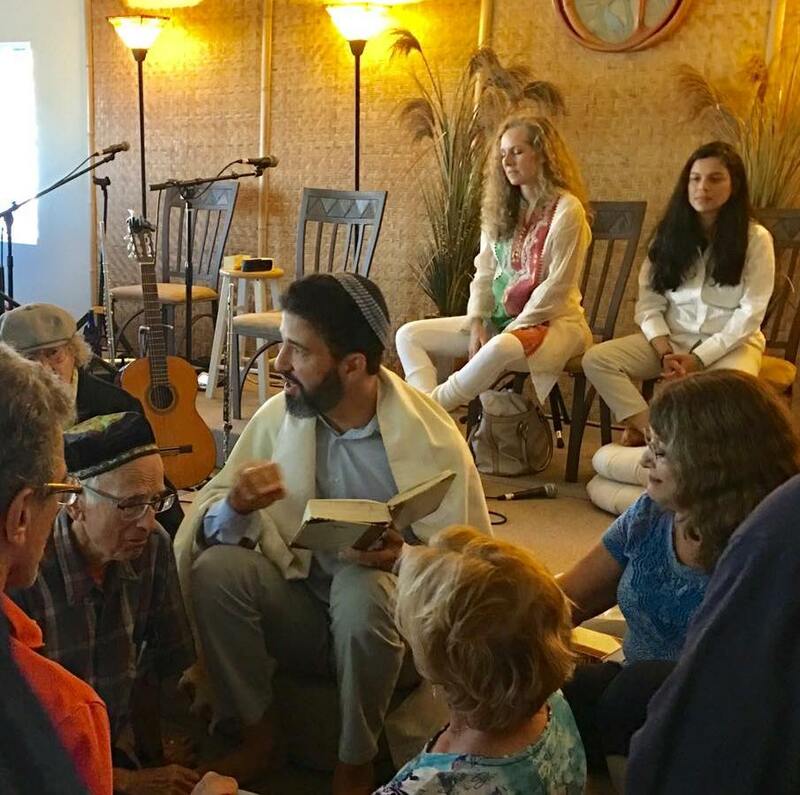 And when you are open and porous, Rabbi Marc begins a teaching: a glimpse into the mystic depth of this week’s parsha and how it offers something to help you better navigate the waters of life. Woven throughout is the music that helps your spirit soar. You leave in sacred silence, feeling lighter. Please join us. Prayer shawls and yoga mats invited.